The same great company that has provided so many customers with unsurpassed service in the lawn maintenance industry is also offering Tulsa Holiday Lighting Installation. 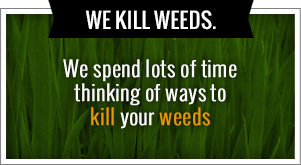 Please give us a call at 918-640-6405 or email us to schedule your free consultation and estimate from our website, www.greenleafweedcontrol.com. Don’t just keep up with the neighbors, show them up this year with amazing Tulsa Holiday Lighting Installation displays. We are a professional Tulsa Holiday Lighting Installation company that takes the stress and hassle out of your Holiday lighting. 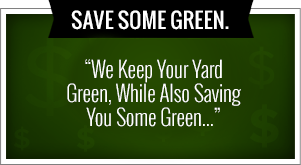 From small to large, residential to commercial, Green Leaf Lawn can make any size home or business look fantastic. Whether it’s roof line, landscape, or tree lighting, we will turn your home into a festive winter wonderland. Our staff of trained decorators are experts in the field of Christmas lighting and holiday decorating. We will be happy to provide you with decorating ideas or turn your existing ideas into a reality. Our service department will ensure that your lights stay lit the entire holiday season. We do a wide range of services for the people of Tulsa, Oklahoma. Tulsa Holiday Lights are one of our specialties at Green Leaf Lawn Service. We’ve been hanging lights for a number of years and we get better and better at it all the time. We are one of the best companies to have working for your home and will come out today for an estimate and a consultation. Give us a call at 918-640-6405 or visit us online at www.greenleafweedcontrol.com for more information about all of the services that we offer to the people of Tulsa including Tulsa Holiday Lights. We are devoted to our craft and providing the people of Tulsa not only amazing seasonal services like light hanging, but we also are devoted to maintaining your lawn throughout the year with a variety of different services.